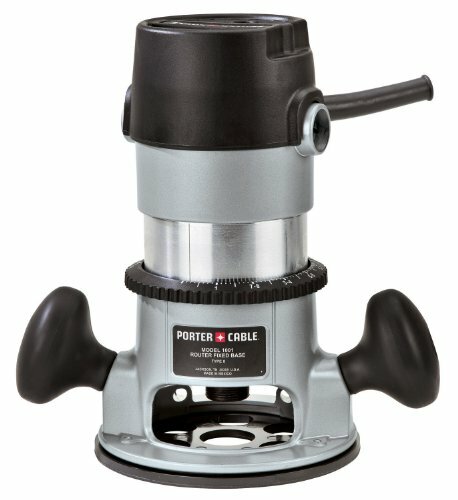 For this post, I have put together a collection of the best wood routers currently available. A router is a hand tool or power tool that a worker uses to rout (hollow out) an area in relatively hard material like wood or plastic. Routers are mainly used in woodworking, especially cabinetry and are typically handheld or fastened with the cutting end-up in a router table. The typical spindle router usually consists of a base housing a vertically mounted universal electric motor with a collet on the end of its shaft. The bit is height-adjustable to allow protrusion through an opening in a flat sole plate, usually via adjusting the motor-mounting height (the mechanism of adjustment is widely varied among manufacturers). There are two standard types of routers, plunge and fixed. 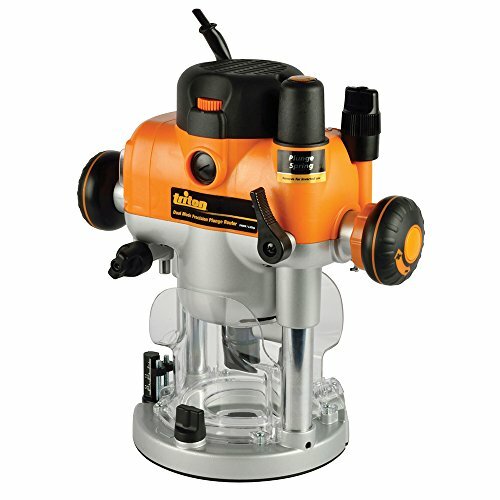 When using a plunge-base router, the sole of the base is placed on the face of the work with the cutting bit raised above the work, then the motor is turned on and the cutter is lowered into the work. With a fixed-base router, the cut depth is set before the tool is turned on. The sole plate is then either rested flat on the workpiece overhanging the edge so that the cutting bit is not contacting the work (and then entering the work from the side once the motor is turned on), or the sole plate is placed at an angle with the bit above the work and the bit is "rocked" over into the work once the motor is turned on. In each case, the bit cuts its way in, but the plunge router does it in a more refined way, although the bit used must be shaped so it bores into the wood when lowered. The following wood routers use the latest innovative components to meet your needs and help to ensure you do your best work. 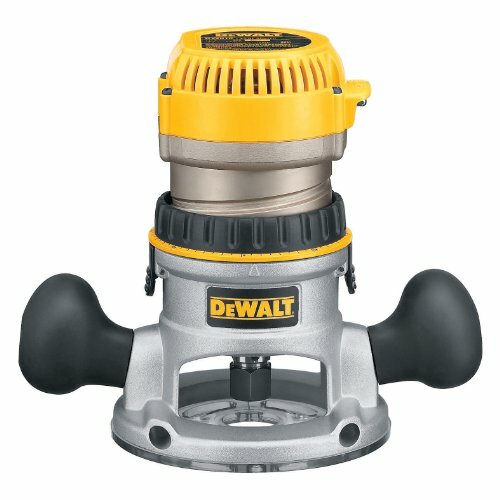 So here is my list of The 10 Best Wood Routers. 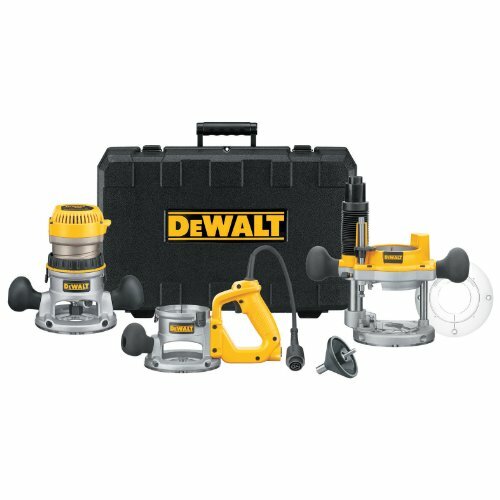 The DWP611PK 1.25 HP Max Torque Variable Speed Compact Router Combo Kit with LED's has a 1.25 HP motor to deliver power for the toughest applications, and variable speed control for optimal bit speed in each application. Soft-starting motor features full-time electronic feedback that maintains motor speed through the cut. Dual LED's and clear sub-base ensure maximum visibility in operation. Adjustment ring enables controlled bit depth changes to within 1/64" (fixed base only). Large, low-pressure spindle lock button allows for comfortable, single wrench bit changes. 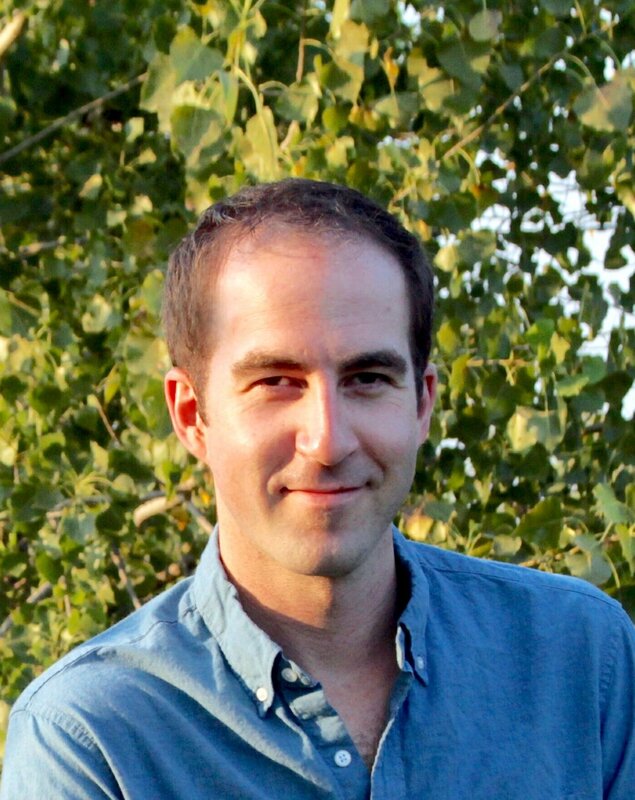 Spring-loaded release tabs allow for quick base removal (fixed base only). Motor can be transitioned quickly and easily between fixed and plunge bases. Allows up to 1.5" of depth travel with standard base & 2" with plunge base. Aluminum motor housing and base construction provides long term durability. Extended sub-base provides greater work surface contact for improved user control (fixed base). 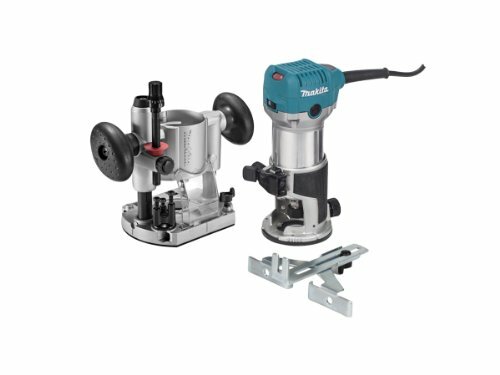 Variable speed dial, soft-start, maintains constant speed under load, quick clamp system on both bases, includes fixed base with system for adjusting bit height from above a router table, precision centering makes it easy to keep bit on intended cutline when using jigs, templets, dovetail fixtures and similar guidance devices, fixed base has threaded holes for mounting to router table positioned in Bosch 4-hole pattern and common 3-hole pattern, microfine, bit, depth adjustment system on both bases, wide base openings and 2" subbase openings and provides better visibility, right or left. switch, location, dust sealed power switch, contoured soft grip handles, double insulated. Variable speed control dial (10,000 - 30,000 RPM) enables user to match the speed to the application. Smooth rack-and-pinion fine depth adjustment system for more precise settings. Features a slim and ergonomically designed body for increased comfort and control. Quick release cam lock system for easy depth adjustments and base removal/installation . Electronic speed control maintains constant speed under load. It also has a Soft start feature for smooth start-ups. Fixed base accepts industry standard template guides for convenience. High visibility base design for improved handling and the performance base can be removed quickly to install other bases. Heavy duty aluminum motor housing engineered for increased durability. Shaft locks for quick and easy bit changes. Durable flat top design is added for convenience when changing bits. 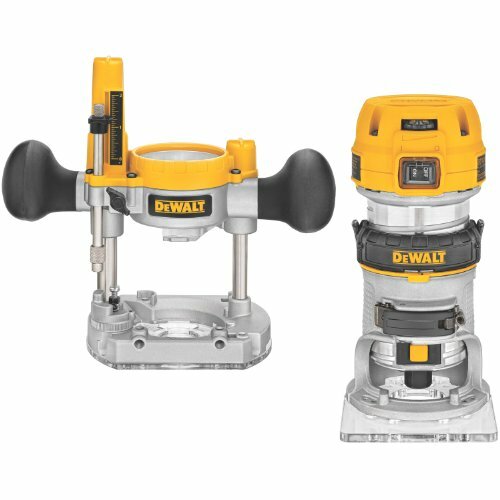 The DW618B3 2-1/4 HP Three Base Router Kit has a powerful motor for routing through tough hardwood at the user's desired speed. Comprises fixed, plunge and D-handle bases. Features precise depth adjustments and fast, easy motor pack removal for bit and base changes. Electronic variable speed with full feedback control for constant speed under load from 8,000-24,000 rpm and soft start to reduce start-up torque for enhanced control. D-handle incorporates trigger switch with lock-on feature. Micro-fine depth adjustment ring provides precise depth adjustments in 1/64" increments and adjusts vertically for a constant switch/cordset location. Adjustable, tool-free steel motor cam lock makes depth adjustment and base changes quick and solid-locking. Integral, through-the-column dust collection collects 95% of the dust and provides superior bit visibility. Quick release motor latches for fast and easy motor pack removal for bit and base changes. Detachable cordset offers cordset serviceability and removes the need for a 'shorty' cord motor pack. Precision machined brass bushings and case-hardened steel guide rods provide a smooth and accurate plunge stroke. The PR20EVSK Variable-speed Colt Kit has a palm-grip design with Soft Grip. Softstart reduces start-up torque while the Bosch Constant Response Circuitry monitors. Maintains speed under load for consistent performance and overload protection. Easily move the motor from base to base with the Quick-clamp System to work on other areas of your project. A convenient Front Spindle Lock on the motor was designed for easy, one-wrench bit changes and a shaft wrench. Cam lock lever enables simple coarse height adjustments and motor release (fixed base). Micrometer depth adjustor accurate to 1/128". Dust-sealed switch and sealed ball bearing construction enhance tool durability. Precision machined aluminum motor housing and base. Auto-release collet system allows for easy bit removal after use. Collets included to accept 1/4" and 1/2" shank bits. Under table stop prevents motor from inadvertently rotating out of base. Overmolded grips for greater comfort in extended use. Button switches from plunge to fixed-base router with rack and pinion height adjustment. Soft start and variable speed lets you select the perfect speed for all cutter types. Micro Winder enables continuous fine depth adjustment through the full plunge range. Safety switch shutter locks closed in bit change mode to prevent power-on. Multi-Function fence provides excellent control for handheld use and circle cutting. Automatic spindle lock engages only when the power switch is closed. Removable plunge spring allows easy bit adjustment when table mounted. Fully enclosed guarding provides maximum protection from the cut zone. Side air vents reduces intake of dust into the motor casing when mounted upside-down in a router table. Quick Access to change worn brushes. Micro-fine depth adjustment ring provides for precise depth adjustments in 1/64-inch increments. A dust-sealed switch protects against dust ingestion for longer switch life, and the motor housing is nickel plated for a smooth, long-lasting depth adjustment. The included sub-base concentricity gauge enhances accuracy even further by helping you maintain bit concentricity, and long, eight-slot collets that are self-releasing provide excellent bit retention for dependability. A steel motor cam lock and quick-release motor latches make adjustments and base changes tool-free, fast and easy when you need to switch tasks, and a unique, detachable cordset helps keep this tool easy to service. Over-molded, rubber handles and well-balanced body. The ergonomic GKF12V-25 palm edge router is light weight and balanced. 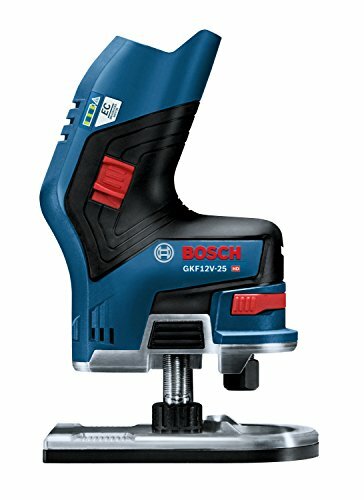 Features a unique ergonomic design that has most of the tool and its gripping areas positioned over the workpiece for maximum stability when edge-forming. EC Brushless motor helps to provide great runtime. When rounding 0.2 In. of beech, this unit delivers 23 Ft. of routing per battery Amp hour (Ah). Easy-change spindle lock, fast macro depth adjustment, and easy fine depth adjustment at 0.04 In. per revolution of the dial. Includes a drop-detection sensor that stops the motor when dropped, as well as finger barriers to help prevent contact with the bit area. 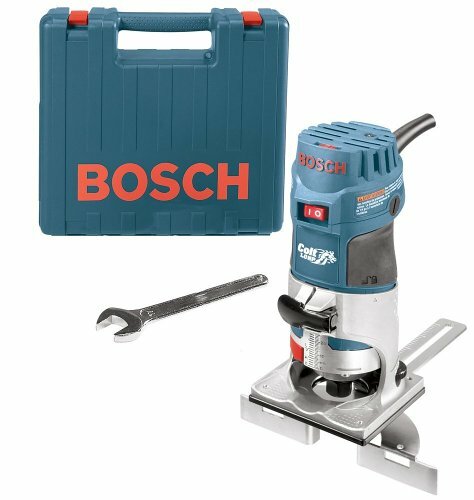 Note: This is a bare-tool kit; the battery and charger are sold separately. 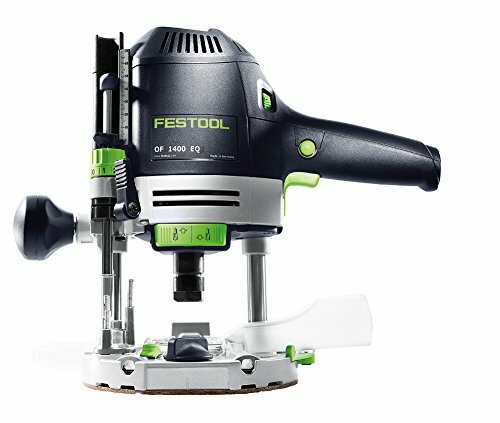 Ergonomic handles: Festool routers are designed for increased control and reduced fatigue. Integrated switches allow use with just one hand. Dust extraction: Integrated dust extraction ports capture dust and debris at the point of creation, increasing visibility, prolonging cutter life, and saving valuable cleanup time. Swiveling chip deflector: Can be used with edge forming bits, maximizing chip and dust extraction even around curves and corners. Attaches and releases quickly with tool-free spring clip system. System integration: Designed for use with the FS Guide Rail system, MFS multi-routing templates, and a wide range of other accessory options. Precision depth adjustment: Micro-adjustability dial allows routing with tremendous precision. 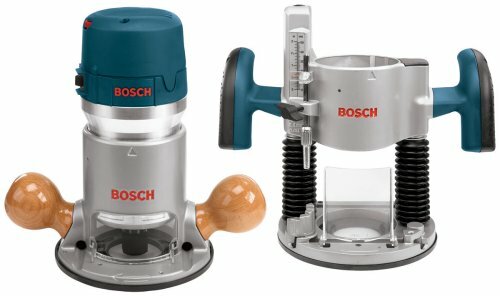 I hope this list of the best wood routers was helpful.